The former Conservative party leader Iain Duncan Smith, has claimed forecasts about what will happen in the case of a no-deal Brexit are "inutterable nonsense". 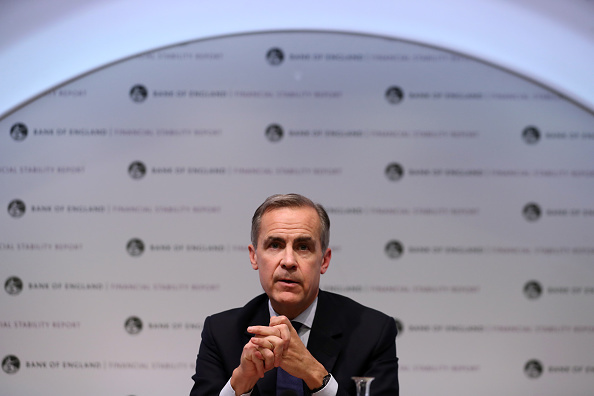 The MP for Chingford and Woodford Green criticised comments made by Bank of England governor, Mark Carney, who warned of a recession worse than the 2008 financial crisis if the UK leaves the EU without a deal. "I don't know why we go on having these staged, nonsensical forecasts, for the very simple reason they find it incredibly difficult to forecast what people actually do when faced with decisions," Mr Smith told Julia Hartley-Brewer. "Every one of these blokes got this wrong in the run to the 2008 crash, not one of them managed to pick up on what was actually happening." In his economical forecast, Mr Carney said the UK economy could shrink by 8 per cent if there was no transition period, with house prices falling by a third. Mr Smith said previous forecasts by the Bank had been "pretty shoddy", and branded Mr Carney's statement as "bizarre". "I think this is now the most political that the central bank has ever been in my political lifetime," he said. "The thing that really strikes me as bizarre is that the governor of the Bank of England himself starts by saying 'I don't say these things could happen, I just say they might happen'. They know very well that what was briefed was these were forecasts of what will happen, not what he said at the beginning of his statement." The politician added that he thought the British public was "sensible" enough to not take the comments as "made in tablet of stone forecasts". "This is the same group that told us if we voted to leave we'd have rising unemployment, we'd have a real crisis in the fall of the economy, instead of which the economy grew and unemployement continued to fall," he said.